Hi everyone, welcome to english-learning.net. I hope you are well today. 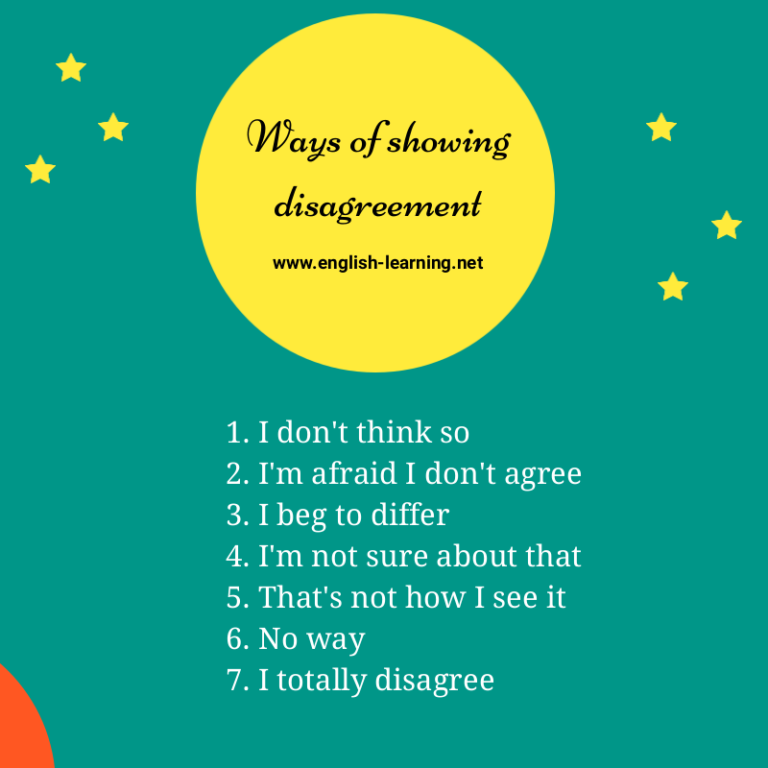 In this lesson, we’re going to learn a number of ways to show disagreement. I believe Thailand is a terrible country to visit. 2. I’m afraid I don’t agree. The computer is not functioning well, we should replace it soon. I’m afraid I don’t agree. They’re quite new and we don’t have enough money to replace it. People often think Paris the best place to visit in France, but I beg to differ, there are so many awesome places you should not miss when visiting France. 4. I’m not so sure about that. Well, I’m not sure about that. 5. That’s not how I see it. The managers all agree that Justin is not doing his job well. Come on, let me borrow your bike.